Having started its operation in 2001,?PNB MetLife?has been one of the fastest growing insurance companies in the country with offices in over 150+ locations. The company has a strong product line up with life insurance plans suitable for people with different requirements. Customers can choose from protection plans, savings plans, wealth plans, retirement plans, child plans, etc. In addition to individual plans, PNB MetLife also offers group plans for corporate customers to provide coverage for their employees. Let’s take a look at various aspect of the company and the different plans it offers. Note: Some of the plans listed above may appear under multiple categories. This is because these plans offer dual benefits and so are an effective part of all categories they are listed under. Company Location - Where you can find MetLife Offices? PNB MetLife has its offices in over 150 locations in the country. Below is a tabular column that lists out all the key branches in the country and their contact information. Customers can also contact the number 91-80-26502244 (from 8:00 a.m. to 8:00 p.m.) to access the customer service department of PNB MetLife. Customers can access the IVR service 24*7 by providing their policy details. As a company PNB MetLife has won plenty of awards in both Indian and international levels. Below is a list of some of the awards the company has won so far. PNB MetLife has plenty of experienced professionals who form the crux of the company’s management. Here’s a list of all the key members from the upper echelons of the company. 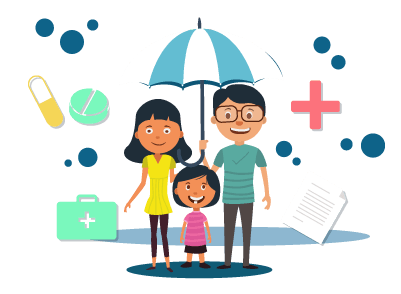 How to Settle a Life Insurance Claim with PNB MetLife? The policyholder or the nominees need to establish communication with the company and start the claim process with any of these modes such as a letter, fax, and email. The initial public offering (IPO) of PNB MetLife may happen in the second quarter of the financial year 2020 so that the insurer’s issue can get a positive response from the retail and other investors. The reason why the insurer has pushed for the year 2020 during which the IPO will take place is because of the general elections which are scheduled this year in April. This is the time when foreign investors are not willing to invest and thus the insurer has pushed for the FY20 during which they will get listed. The insurer who had filed its draft red herring prospectus (DRHP) for the IPO with the Securities and Exchange Board of India in July 2018 received the green signal to go ahead in November 2018. In order to expand the distribution of their life insurance products, Life Insurer PNB MetLife has teamed with ESAF SFB. The move was to ensure that the life insurance products rolled out by PNB MetLife are accessible to the rural population, areas where ESAF SFB has its presence. The move to collaborate with ESAF SFB was approved by the Insurance Regulatory Development Authority of India. According to the CEO of PNB MetLife Insurance, the company has always believed in inclusive growth and looked for ways to expand its reach. We are delighted to partner with ESAF SFB and offer our wide range of unique products to their customer base. We look forward to this journey together and hope to provide more customers with PNB Metlife’s insurance products. With presence in already 107 locations in the country, and selling their life insurance products in 11,000 bank branches with Punjab National Bank, Karnataka Bank, Jammu and Kashmir Bank and so on, ESAF SFB is the latest bank that the life insurer has teamed up with. An official of the life insurer said, We have got the go-ahead from regulator and we are in talks with our bankers when to launch the IPO. That said, it has not yet been decided whether we will come out in this financial year or next year. The Securities and Exchange Board of India (SEBI) gave a go-ahead to PNB Metlife to make its Initial Public Offering (IPO). Once it floats the IPO, the life insurance company will be the fourth insurer in the country to be listed. ICICI Prudential, SBI Life Insurance, and HDFC Life are the three other companies that were listed previously. PNB Metlife had filed its draft with SEBI in July last year and was given the green light by SEBI on November 2 to float its IPO. SEBI provided its observations the same day. The observations given by SEBI are crucial for any company such as this that plans to float an IPO. As per the draft paper provided by PNB, the stake dilution will be at 24.46% with a sale of under 496 million shares. While PNB will offer a little more than 80 million shares in the initial public offering, Metlife is expected to offload over 129 million stocks. PNB Metlife is a joint venture between PNB, Metlife, J&K Bank, M Pallonji & Co, and Elpro International. According to PNB’s draft paper, the plan to float an IPO will increase liquidity among shareholders and help in the branding of the insurance company. A new ad campaign has been launched by PNB MetLife to promote greater awareness about the need of life insurance. This digital campaign drives home the point that a life insurance is a need for every consumer to safeguard the future of their family. The campaign has been titled as #MakeTime and the video is available on Youtube, while being simultaneously promoted via the various social media channels of PNB MetLife. The ad film, whose main theme is ‘protection’, has been created by Anaiah Films. The ad takes a humorous route to depict a family’s preparations for a bleak financial future in absence of life insurance after the death of the family patriarch. The ad has been conceptualised and carried out by the digital agency of PNB MetLife called ‘Social Kinnect’. It depicts a Mr. Sharma holding a prayer meeting in memory of his late musician father. Without giving away the punchline, the ad tries to urge people to “Make Time” to protect the future of their families by highlighting the importance of financial planning. The ad especially markets the PNB MetLife’s ‘MetLife Mera Term Plan’. With this ad campaign, PNB MetLife wishes to change the prevalent Indian mindset that insurance needs to be an investment, not just a safety tool in case of unfortunate circumstances.